Hi First Lady, Happy to see ya again.I read a bit from your blog, pretty interesting. Any way what you wrote here:PERHAPS the phone call that I believe was placed by Kelly at Hussar, was not 'something gone wrong' maybe it was something exactly right - like the murderer makes his victims place this call because (1) it is a game to him and the terror that the victim experiences and passes on to her parents is a thrill, all part of it. This paragraph, sounds as if you were speaking of Clifford Olsen, he loved to play trickery and games.Amazing! I wonder where Clifford was? I gotta think about this a bit.A guy like this wouldn't stop.Thanks for your insight. Thanks. It's sort of a mishmash, without a central theme; just random thoughts from my mundane life. Actually it was haunted who made those comments. I am not sure if Olsen is a possibility. I suspect he would have (or could have) been ruled out by now. Sadly there are more like him out there. Clifford Olsen seemed interesting to me as well, due to the time frame and the fact that the authorities were aware that he rented vehicles and put on 10,000's of km on them, however, he never went to this much trouble to find his victims. He would seek out teens who were vulnerable and Kelly wasn't one of those teens. Olsen would have stood out in Standard and with the publicity that his face received soon after Kelly's murder he would certainly have been recognized by the witnesses who saw him in Standard. I really feel that the predator in Kelly's case was much more 'middle class', who likely had a decent job and wasd comfortable in the small town setting so not to set off alarm bells among the locals just by his presence. The link to the case in Phoenix that I found is the only thing out there that I have found (hours and hours of searching) that is similar. It is really similar. It is 9 years later though and could be a complete coincidence but interesting to note in the very least. Lots of people from Alberta go to Arizona, snowbirds, during the winter (although I will have to revisit that case to recall the time of year and see if that is consistent or not). The date of the abduction was October 13, 1990. Maybe early for snowbirds from Alberta to be going to Arizona, or maybe not. There does not appear to be many details about this case and it appears to be unsolved. Thinking about the snowbird idea because if this were the same person involved in Kelly's homicide, then this person could be as old at 55 or so in 1990 which could be an age for early retirement. In the case of this abduction the victim called her parents but the call was cut short in Kelly's case, it is assumed/speculated that she called the operator and her call was cut short. I wonder if in 1990 it wasn't feasable to call operator because it could be dispatched quickly to 911 or it was being recorded, where as in 1981 there was no 911 (to the best of my knowledge) and I doubt that calls were being recorded. If this is the same person with the same MO maybe he had to change things up a bit to avoid a squad of police cars being dispatched, had the call been placed to the operator at that time. OR it could be just one big coincidence because to anyone looking to prey on a child, someone advertising their babysitting career in public would be an easy target. I know some snowbirds from here that go to Arizona every year haunted. Their preferred time of departure is around thanksgiving. They have told me that the RV parks start to fill up for the winter and if you want a choice spot you get there early in the season. I don't know if that's how most people do it, but based on that statement I'm thinking a lot must. The time of Oct.13 seems realistic based on that. I also think it is possible that these were just easy targets as you said. When I was about 14 I ran an add in our local paper as I also used to babysit. I was very lucky that the creep that answered it told me on the phone exactly what he wanted to do to me and I was so shocked I hung up. After that I was only allowed to sit for family friends. I think these creeps will do whatever it takes to find a victim. There was a guy who worked for a travelling carnival company back near that time who was later suspected of being a serial killer. He had a prominent noticeable chin as noted in previous post. He wore glasses like in the sketch. I do not know if he was in prison for his other crimes by that time or not. Here is an picture of him but he would be a lot older in this pic than he would have been at the time of this murder. I checked quite a bit about Terry Arnold because I thought he was interesting as well, however in 1981 I believe he was approx 18 years old, only 3 years older than Kelly and about the same from the first intended victim who saw him. This first intended victim and another 1 - 2 persons saw the murderer and placed him in 30 - 45 year range. I tend to think, also that it would be difficult to pull off the 'I need a babysitter' line when one is 18, easier when you're older. I agree though that the man who did this, must have done this before Kelly's murder and since and maybe still is, unless in prison or died. 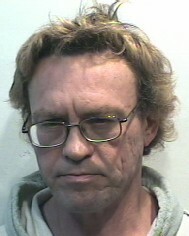 Arnold was suspected of 1987 murder of Denise Lapierre of Calgary. He was 42 when he committed suicide in 2005, which would have amde him 18 or so when Kelly was murdered, which just seems too young, unless the info that we have on the suspect is mistaken but it seems to me that Kellys murderer was seasoned and while it is possible that someone could/would begin a career as an sk prior to age 18, in Kelly's case I tend to believe the suspect was older. Sure would be nice to know more from the poster who brought up the town of Warner as the possible residence of the murderer at the time, surely this poster knows a few more details than that, that could be shared. re: Terry Arnold. He was the other suspect in Barbara Stoppel's murder near the same time as this. Barbara was about the same age as Kelly. Arnold was living in Calgary at various times around then. He was noted as being some what a master of disguise. Contact lenses were not common at that time and Arnold needed to wear his prescription glasses. He was a psyco and it appears that he was involved in other murders by then. I agree that the description of the age thing if accurate could rule him out but before completely doing so, I am still curious about the travelling carnival angle. Did the carnival go through that area just before the murder? If so, did that coincide with the newspaper article with the picture of the figure skater? It does appear this Arnold could very well have been a serial killer and it would be wonderful to know where he lived and when. There is a lot of interesting info on Terry Arnold in this Impression Warrant. Barb Stoppel was murdered in December 1981 and it states that for some time prior to her death he had been held in a juvenile correction centre, but for how long I am not certain. Was he incarcerated at the time of Kelly's murder? I am not sure. His height and weight was estimated by many different witnesses to many different descriptions. This is interesting because at first I would have discarded Arnold just due to his approx height/weight description. The youth thing, though is hard to discount, however in the Stoppel case, some people placed him as old as 30 and in Kelly's case the murder was placed as young as 30 and as old as 45. But 45 and 18 are a long way off. A psychiatrist noted that he was not creative, rather would imitate crimes he had seen. Has a crime like this been written or carried out in a movie, prior to 1981? I am certainly not aware and one would think that if it was the case, the media would have been all over it back then. Also the psychiatrist had him write down various 'risks' and he listed many things relevant to the Stoppel case but also put 'small towns' as a risk (to me I think of that as a risk where he would be tempted to offend or has offended). That is pretty vague though. The psychiatrist indicates that he is sloppy and Kelly's murderer was not sloppy, he was proficient which makes me think that he had a long time to think about it, plan it and carry it out. He did not want Kelly's body found where Arnold didn't seem to care about his other victims being found. With regards to the Carnival, I may have misread the Impression Warrant but I thought it said that Stoppel was the one working at the Carnival, not Arnold, but I could be wrong. As far as Carnivals going through the area back then, I can't say but perhaps it is indicated in newspaper archives. I can't seem to locate archives for the Strathmore Standard back then,which I think would be the paper that would be the most relevant. While to me, Arnold does not seem the most likely suspect, it could be that I have been thinking about this case for so long that I develop my own ideas and they are hard to discard. It seems easy to lose objectivity. I also think that sometimes crimes like the one in Standard could only be done by a monster. Arnold fits that profile. But the sad truth is, many of these are done by guys who may not do it again, and maybe only did it because of panic. There are monsters out there who do travel and kill, I could be wrong, but I think most murders of woman that seem to be random may not have been. It was not that long ago that a case where a young female murdered in Winnipeg in the 80's was solved, and it was in fact just a local guy whom appears not have ever killed anyone else. But I remember on the old SK site, it was tought to be the work of a serial killer. I'm just glad so many of these old cases are getting solved. Whatever arnold may have done, at least DNA is there to test now. Too bad the police are not allowed to reveal anything since the pig is dead. The facts in this case do suggest that the someone who had become fixated on the figure skater, was likely the one who killed Kelly. There are indications of several months of planning. When Arnold killed Barbara Stoppell, he had followed here out to Winnipeg, he had fixated on her and months later followed through. Both Arnold and Stoppell had worked for the same carnival company the summer before. In my part of the world, a girl was raped in the small town where the carnival had stopped that year. I doubt there had been a crime like that for at least a decade before or after. The brazeness of Kelly's murder in particular just seems so over the top that I believe that the guy who did this could not stop himself and that it is likely that he committed more murders. This murder has not been solved by any singular piece of information or evidence yet. I just think that before throwing out one of the few known killers to be lurking about at the time, some of the little pieces should be confirmed, like did that carnival go through this area that year? How wide of a circulation did the newspaper have that published the picture of the figure skater? There are all kinds of similarities of behaviors and occurances that bring thoughts to mind regarding this case. We tend to mention such when we agonize over a case such as this. I know that as soon as I read this thread way back when, a particular story came to mind that was a Canadian movie based (if I'm not mistaken) on a novel called "LOYALTIES". I remember watching that movie years ago; and it left an indelible memory of the danger young girls face due to something we all consider natural "baby sitting jobs". Ever since seeing that movie, which came out in the mid 80"s, I always think of it when I hear of someone getting a baby sitter. Yet the movie is not about that per sa, ... just reminds me of how men with a desire for young girls think of something like this and use it as a ruse to find a prey. When I first read this thread, that movie came to my mind. I suppose I couldn't help but wonder if the movie was based on fact and that man may have been doing this stuff there for years. ..especially the timing of the movie! Anyone who hasn't seen "Loyalties", it was about a British Doctor who moved to Western Canada and set up a practice in rural Canada because he and his wife had to leave England because they were running from what he had done in England and came here to "start a new life". His sick wife gave him chance after chance - even practiced preparing herself for bed at night posing as a young girl with pony tailed hair etc. to try to keep him interested and prevent him from doing it again. My point is, God only knows how this movie may have lit a fire under, and given suggestion to, other perv/s in that area. Tantoo Cardinal won awards for her portrayal of the mother of the young native girl who fell victim to this man. ....Again, I wonder if this were not just a novel but he actually did move to Alberta. back then. As haunted says in above the descriptions of Terry Arnold in the Stoppell murder vary widely, any where up to 30 years old. In Kelly's case the lower limit of the suspects age is 30. Arnold is not completely ruled out by this but it becomes very improbable on the surface. On the other hand, one also has to take into account the amount of obstruction found in the Stoppell case that facilitated Arnold's escape from that investigation. Could any of the same be going on in this case if Arnold were Kelly's killer? Terry Arnold worked out doors for a carnival company. This was a compilation of several witness accounts. Hypnosis used on witnesses can lead to a skewed description (especially if that were the desired outcome) and has ruled out witness testimony in other cases. What time of day did the killer ask for a babysitter at the restaraunt? Was it on the same day as Kelly's abduction? Appears this guy was seen by more than one person in the restaurant. From what I gather the figure skater was working in the restaurant and was first approached in person to babysit but could not so gave him a friend's name who could not, so that friend then gave him Kelly's name. He was persistent and wasn't going away until he got what he was after. This guy was brave and thought he was very smart and did not think he was going to get caught so he wasn't afraid to show his face. Why? Not from there..........or never going back there..............or has done this over and over in one form or another and confidence keeps building. The police would term Kelly's murder the most brazen murder they had ever heard of. So it was with the Stoppel murder. Barbara Stoppel's killer had been in western Canada around the Calgary area prior to following Stoppel to Winnipeg. He may have returned again after the Stoppel murder. He killed Stoppel right in the restaurant where she worked after stalking her for months, how brazen can you get! Kelly's killer showed up at a restaurant apparently hunting a victim that he had been pursuing but opted for another that time. In neither Stoppel's nor Kelly's case did the killer try to hide his face prior to the murder and in both the killer wore prescription glasses. I believe there was a reporter in Calgary who was investigating Arnold and said that he had family out there, possibly Strathmore. If so that would fit with someone having access to the newspaper story of the gymnast and place him in the proximaty for the rest of the events to occurr. I do agree with the other posters though that on the surface Arnold should be ruled out solely by the age description. But, I also see that in Stoppels case where he should have been investigated, something really strange happened and he was not, despite near overwhelming evidence for him to be. I wonder the same here.